The communication campaign of Paani Program, implemented by NEFEJ with support from USAID/Paani, has now entered the second year. Upon completion of the campaign in 2018, the USAID/Paani and NEFEJ have agreed to continue their collaboration in 2019 also. The agreement to extend the communication campaign under the Paani Program was signed by NEFEJ President Kosmos Biswokarma and USAID/Paani’s Chief of Party Ms. Nilu Basnet on December 17, 2018 on behalf of their respective organizations. Before signing the grant agreement, NEFEJ held a kick-off meeting with USAID/Paani in December 2018 where the past progress and upcoming plans were discussed. Paani is a USAID-funded five years program working to enhance Nepal’s ability to manage water resources for multiple uses and users through climate change adaptation and the conservation of freshwater biodiversity. NEFEJ began to implement the Paani Program in October 2017 as its cmmunication partner and will now continue till December 2019. Under the Program, NEFEJ is implementing various communication campaigns focusing on 12 watersheds of three river basins of Mahakali, Karnali and Rapti rivers. 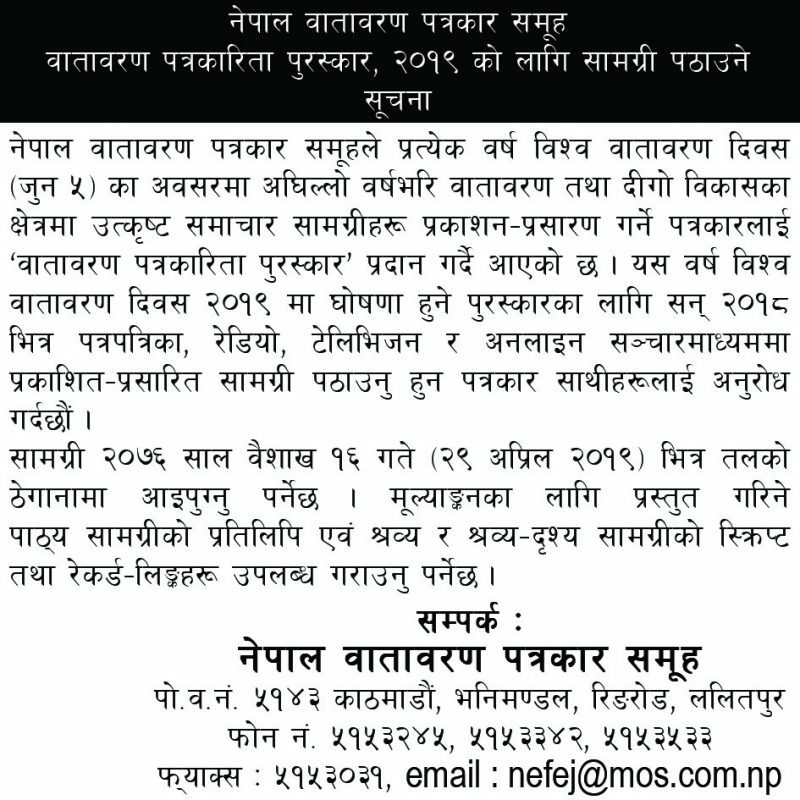 NEFEJ is using various communication medium to create awareness on various aspects of watershed conservation and the importance of the three river basins and west and far west Nepal. NEFEJ is producing and broadcasting a weekly 30-minute television program on a national channel while the program is also being re-broadcasted in four local television channels. 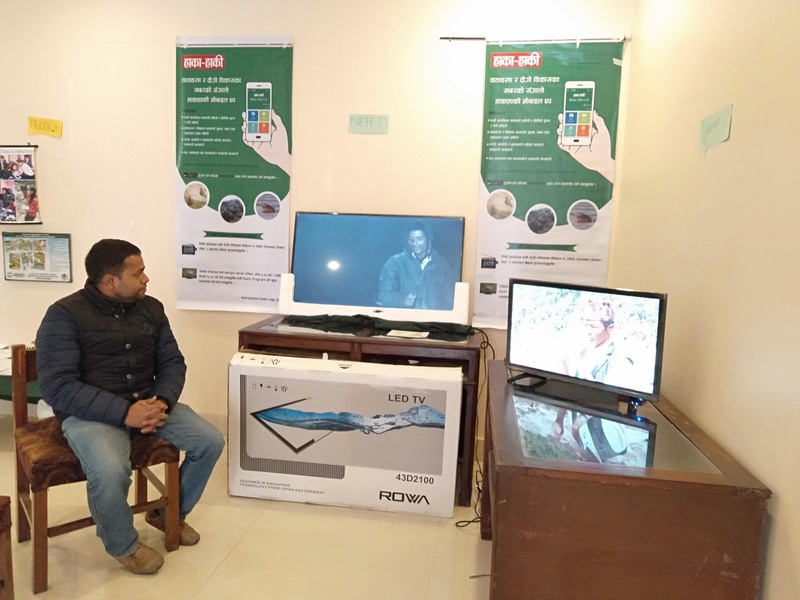 Simiarly, NEFEJ is also producing and broadcasting a 30-minute weekly radio program through Radio Sagarmatha and 22 other local radio stations. These programs produced under the Paani Program are also being utilized as one of the major contents in the online news portal run by NEFEJ – www.hakahakionline.com. The site is being developed as the gateway to the overall issues of environmental conservation and sustainable development. As part of the Program, NEFEJ has also developed an android mobile application where all the information related to NEFEJ, its programs and issues concerning environmental conservation and sustainable development are incorporated, including audio visual material. Besides, NEFEJ is also organizing Paani Chhalfal, a broad-based town-hall like discussion programs on issues related to water in the region. The program is attended by all the concerned stakeholders where the participants discuss the present situation of watershed areas, the importance of their conservation and improving the overall health of the water. NEFEJ also organized essay and art competitions at the school level in the project areas to create awareness and importance of watershed management to the school students. 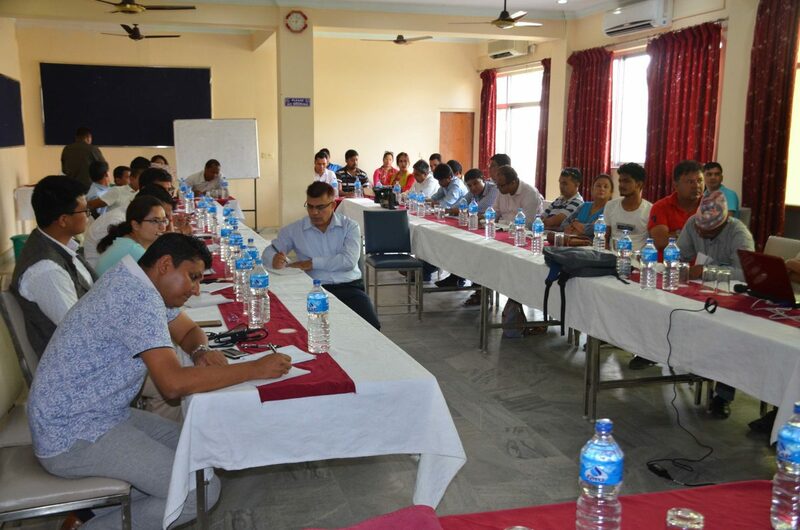 NEFEJ participated in the review and reflection workshop including 14 grantees organized by Paani Program in Nepalgunj where all the grantees shared their activities, progress, issues and challenges. 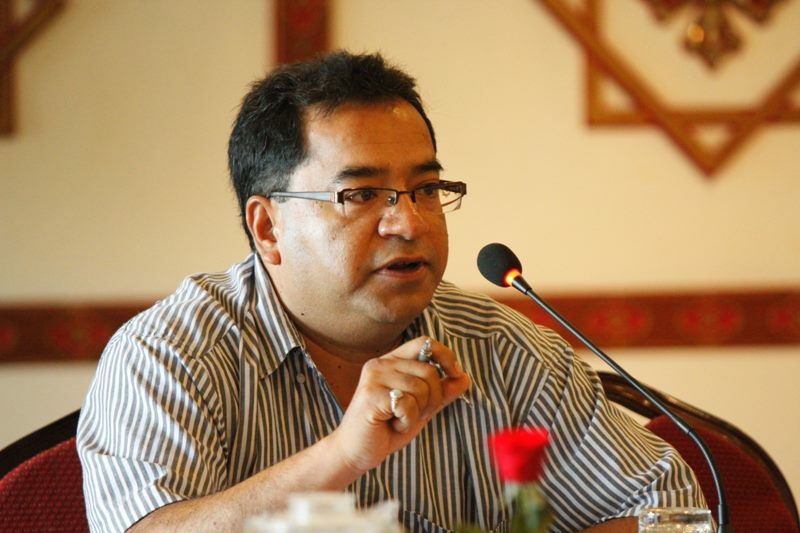 Paani’s Chief of Party Nilu Basnet and Deputy Chief of Party Jeremy Keeton participated in the workshop. In this workshop, NEFEJ was provided with a stall and had a good opportunity to share its activities and progress with Paani and all the grantees. NEFEJ showcased its activities through gallery presentation and market place.